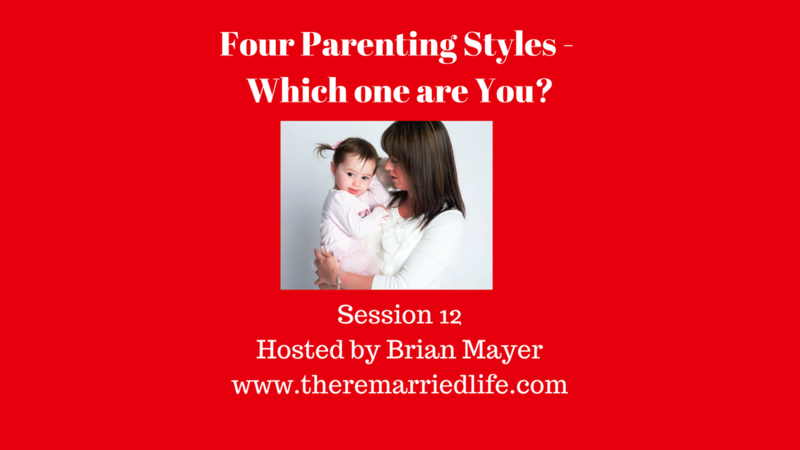 In thinking about parenting styles, Brian reminds us to think about what style was exhibited by your parents and if there were differences if you grew up the child of divorce. Also thinking about the styles that were present in previous relationship and how you prefer to parent presently. Finally and just as important understand all of these same issues and styles of your partner’s past and present. Parenting styles were develop through research by Diana Baumrind in the 1960’s. She looked at the Responsiveness of the parent which includes setting Expectations and Discipline. She also looked at Support that a parent provides which includes things how easy or difficult is the child able to comfortably communicate issues with the parent. The first parenting style is Neglectful. This parent is Low Responsiveness (Discipline) and Low Support. This style often occurs when a parent travels extensively, when there is drug abuse by a parent, or a parent that has simply abandoned the home. It can also occur by parents that are completely absorbed into other aspects of life. The second parenting style is Permissive. This parent is Low Responsiveness (Discipline) and High Support. This parent is not much for rules but more wants to be a friend of the child. The third parenting style is Authoritarian. This parent is High Responsiveness (Discipline) and Low Support. Sometimes called the Drill Seargent or the “It’s My Way or the Highway” parent. There is high regard for discipline and structure but little warmth and much emotional distance. The fourth parenting style is Authoritative and is considered the healthiest. This parent is High Responsiveness (Discipline) and High Support. There are lots of boundaries, but also lots of reciprocal discussion about the issues. The parent is Assertive but flexible. This sets up the child for success later in life. Do both parents have to be the same style? The research says it is best if both are Authoritative, but as long as one is Authoritative especially in a new blended family where the stepparent may alienate a child by becoming Authoritative too soon, then it is acceptable if there is a difference.